Hello, hello friends! 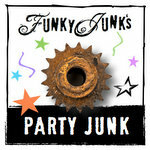 Welcome back to Party Junk, with salvaged summer decorating! Wow, was that a fast summer or what? School begins next week in our region so that signals a shift of sorts for most… time to get back on some schedules that are ruled by a clock (ouch… it’s been nice without, hasn’t it?) and to celebrate what we created during the summer! Desiring to hide an unsightly compost pile in the garden, two pallets were the answer. Within an hour! 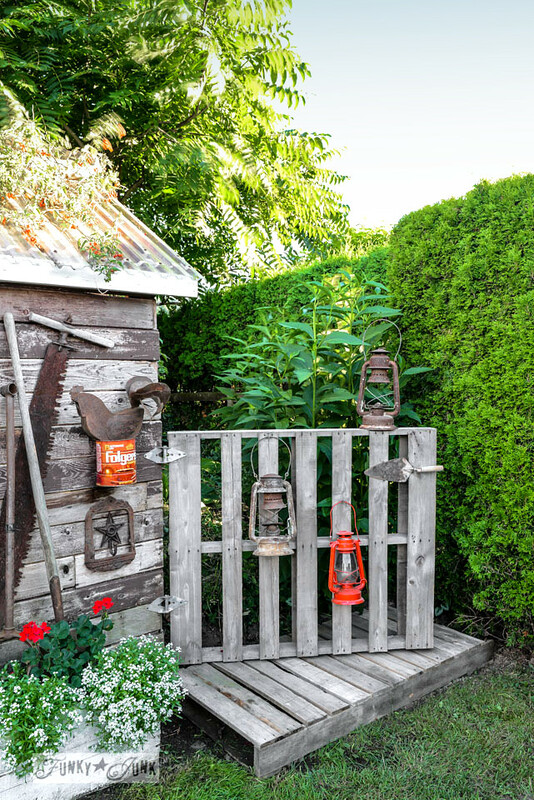 How can you honour your grandfather’s old drill? Why, with a pallet wood toolbox of course! 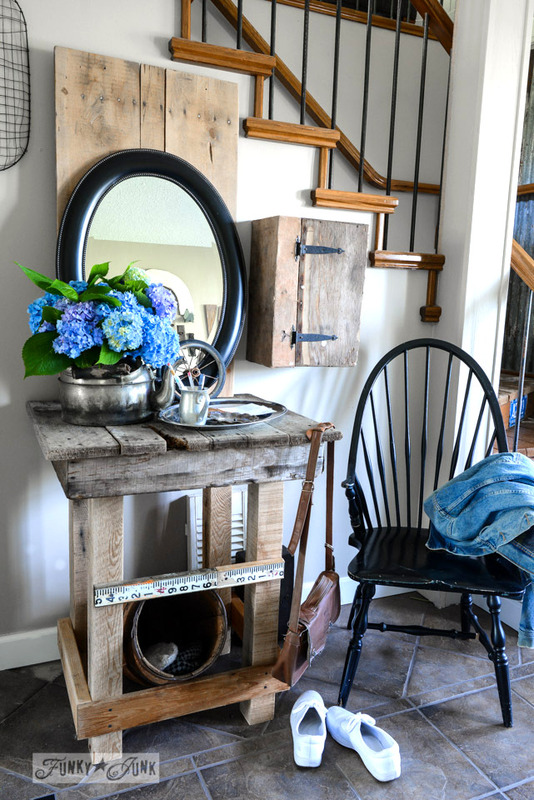 Desiring to freshen up the front entry table but not having any ‘real furniture’ in sight, a mish mash of upcycled fun was the result. 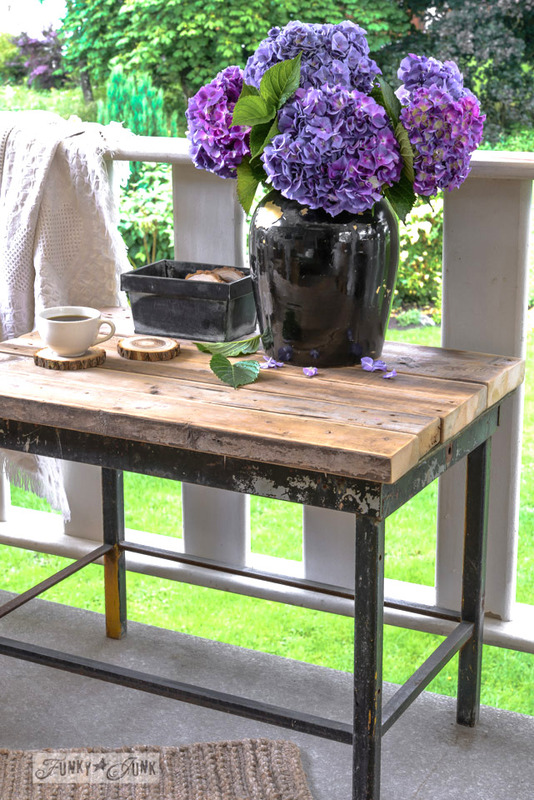 When a laptop patio table was desired, all it took were a few reclaimed 2×4’s to create this solid wood topped patio table. 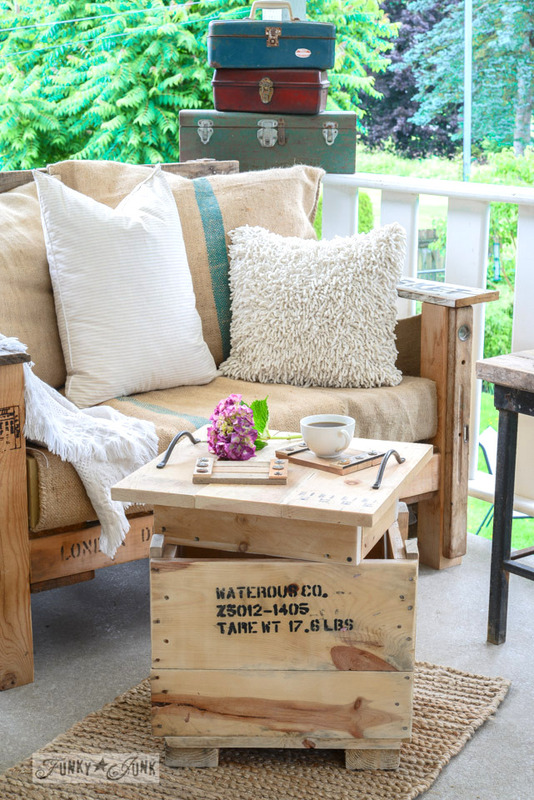 Desiring a little side table that matched a pallet sofa (so traditional I know! ), a little firetruck crate was the answer. But this one comes with a twist… the top turned into a tray. 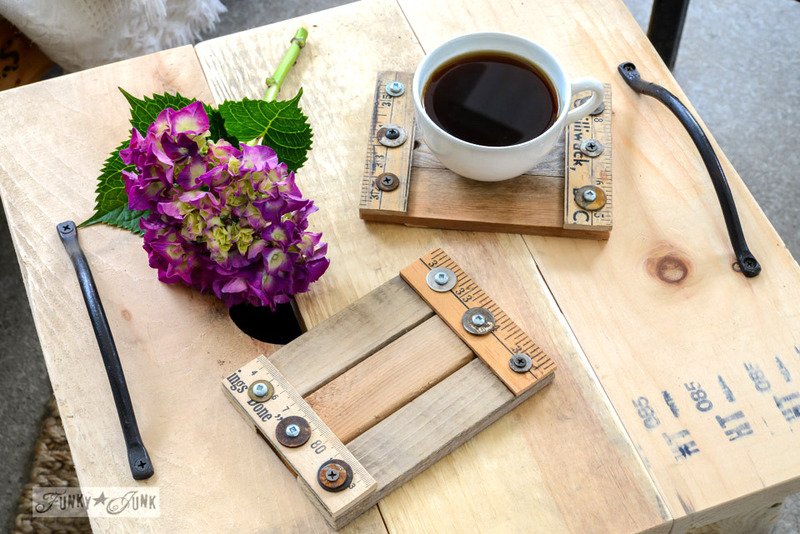 Landing a metal rack in front of a dumpster proved to be the best thing that happened to this collection of reclaimed wood. Fabulous storage for a workshop! What have you worked on this summer? 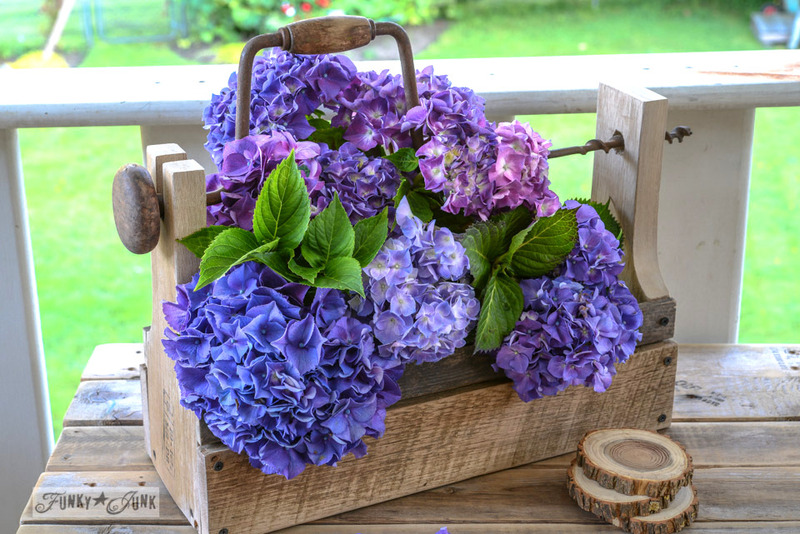 Link up your favorite 2014 summer projects in this weekend’s 2nd themed linkup! Thanks so much for another great party Donna! 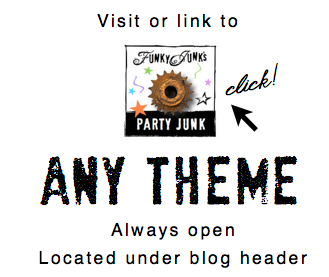 Love your blog and the creativity. Thanks for all the inspirations. Donna, I can’t believe the summer is slipping away! We certainly saw some great projects this summer and I’m sure the fall and holidays will just bring more inspiration! Enjoy this final weekend! I love this category, Donna! Thanks for hosting. 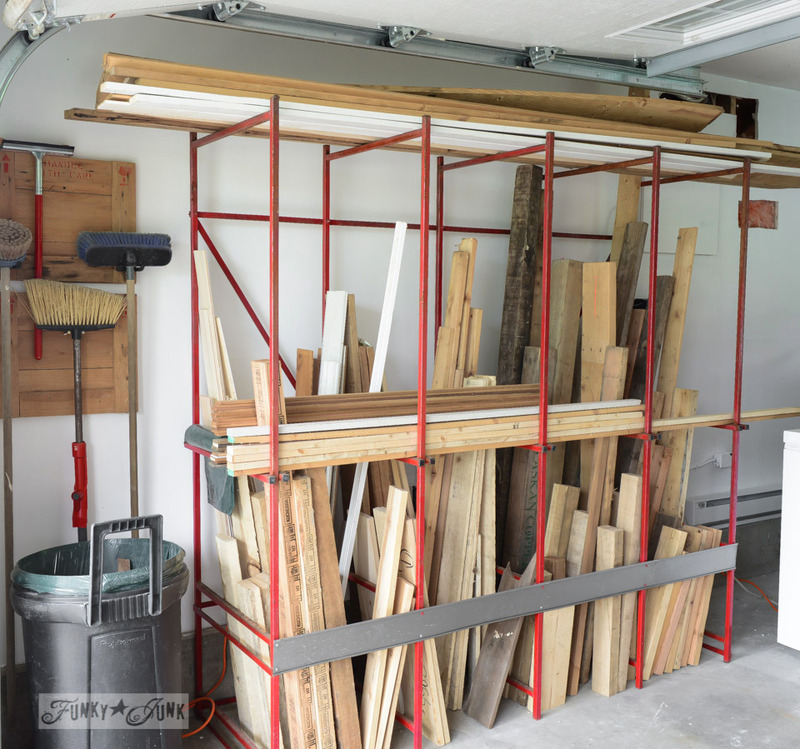 Great ideas and love how you store wood pieces for later projects. 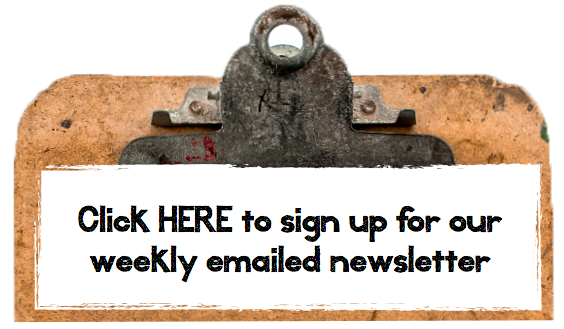 Nothing to share this week but wanted to stop by and thank you for hosting this link up. I do enjoy it. Stop by my blog because I have a post on a certain flower – Snow on the Mountain – I think you would like it, very easy to grow and would do well in your climate for next spring. It’s been such a busy summer, and we finished so many projects. I didn’t even get all of them photographed, so I’m waiting until next summer to share some of them! 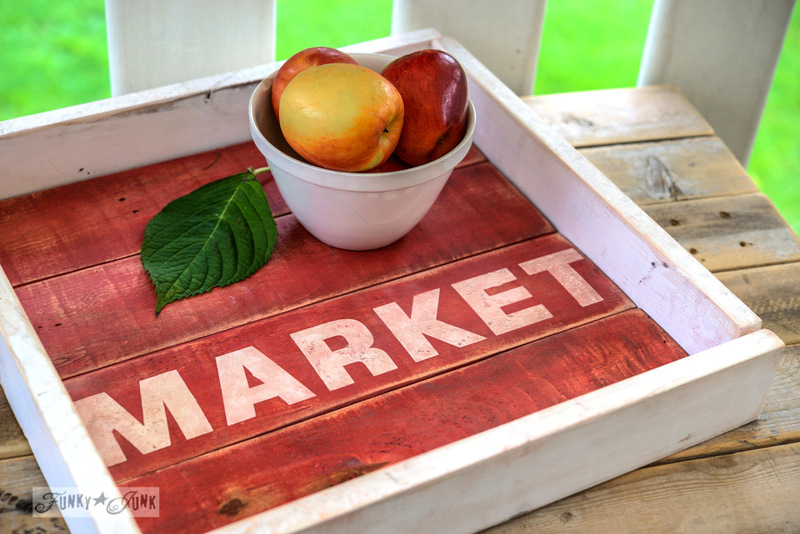 I love every project you made this summer, Donna – especially the little coasters and the Market tray! Thanks for hosting for us! Thanks so much for this fabulous party. I love all your summer projects. They are absolutely gorgeous. Have a wonderful week.